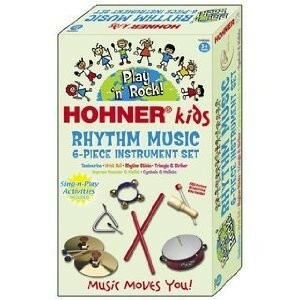 Strike up the band with Hohner's 6 Piece Rhythm Instrument Set! It includes tambourine, rhythm sticks, triangle, wrist bells, cymbals with mallets, and a wood sounder. 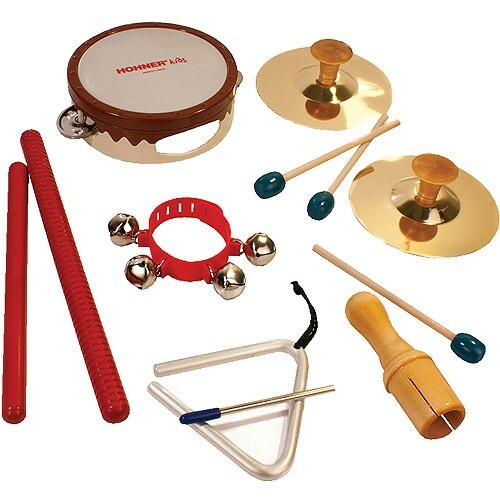 Also included are six sing-n-play activity inserts with age appropriate songs and activities written by a certified music educator.